Although Adrian Belew has played with some of rock's biggest names over the years (Frank Zappa, David Bowie, the Talking Heads, King Crimson, etc. ), he remains one of the most underrated and woefully overlooked guitarists of recent times. Like all great guitarists, Belew has his own recognizable style/sound (one that admittedly tends to be quirky and off-the-wall at times), and is an incredibly versatile player, as he's always found a way to make his signature style fit into a wide variety of musical genres: hard rock, funk, new wave, experimental, Beatlesque pop, and more. East London-born Adrian Legg first learned to play the oboe as a youngster and then made a fateful switch to guitar during adolescence. Since then, he has established his reputation as a unique and highly technical fingerstyle guitarist with shades of classical, jazz, folk, country, and rock coloring his work. Adje (Adrian) van den Berg (Born: 31 January 1954, The Hague in the Netherlands) is a Dutch rock guitarist, best known for his tenure as lead guitarist in Whitesnake during their successful late 1980s period. Along with Eddie Van Halen, Kiss' Ace Frehley inspired numerous up-and-coming rockers to pick up the guitar in the 1970s - and come the '90s, was listed by just about every contemporary rock guitarist (Soundgarden's Kim Thayil, Pearl Jam's Mike McCready, Pantera's Dimebag Darrell, etc.) as an important influence. Born Paul Frehley on April 27, 1952, in the Bronx, NY, Frehley began playing guitar when he received an electric six-string for his 14th birthday in 1965. Albert Collins, "The Master of the Telecaster," "The Iceman," and "The Razor Blade" was robbed of his best years as a blues performer by a bout with liver cancer that ended with his premature death on November 24, 1993. He was just 61 years old. The highly influential, totally original Collins, like the late John Campbell, was on the cusp of a much wider worldwide following via his deal with Virgin Records' Pointblank subsidiary. However, unlike Campbell, Collins had performed for many more years, in obscurity, before finally finding a following in the mid-'80s. Albert King is truly a "King of the Blues". Along with B.B. and Freddie King, Albert King is one of the major influences on blues and rock guitar players. Without him, modern guitar music would not sound as it does - his style has influenced both black and white blues players from Otis Rush and Robert Cray to Eric Clapton and Stevie Ray Vaughan. 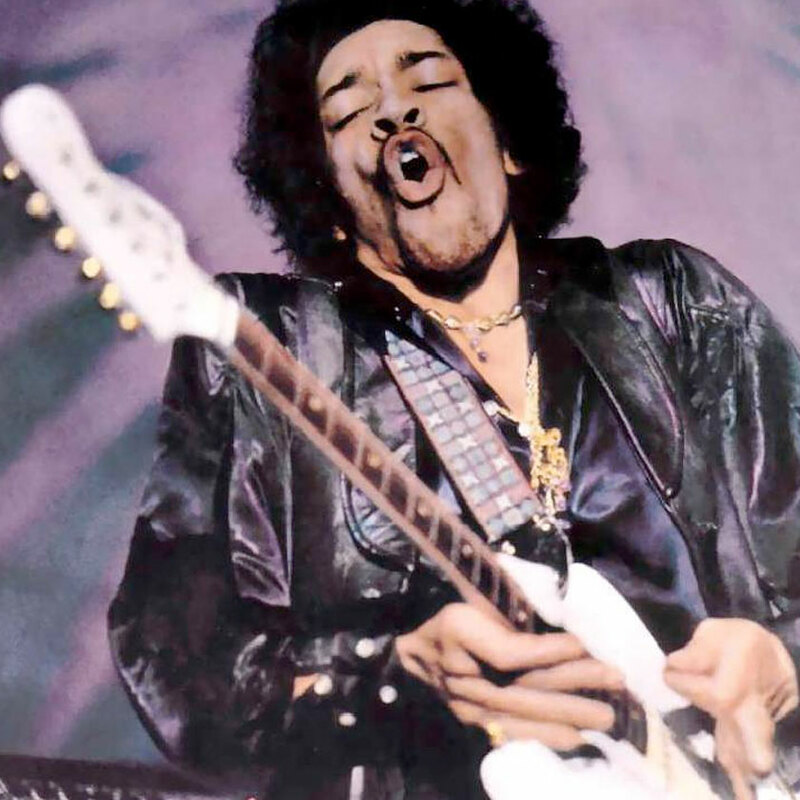 It's important to note that while almost all modern blues guitarists seldom play for long without falling into a B.B. 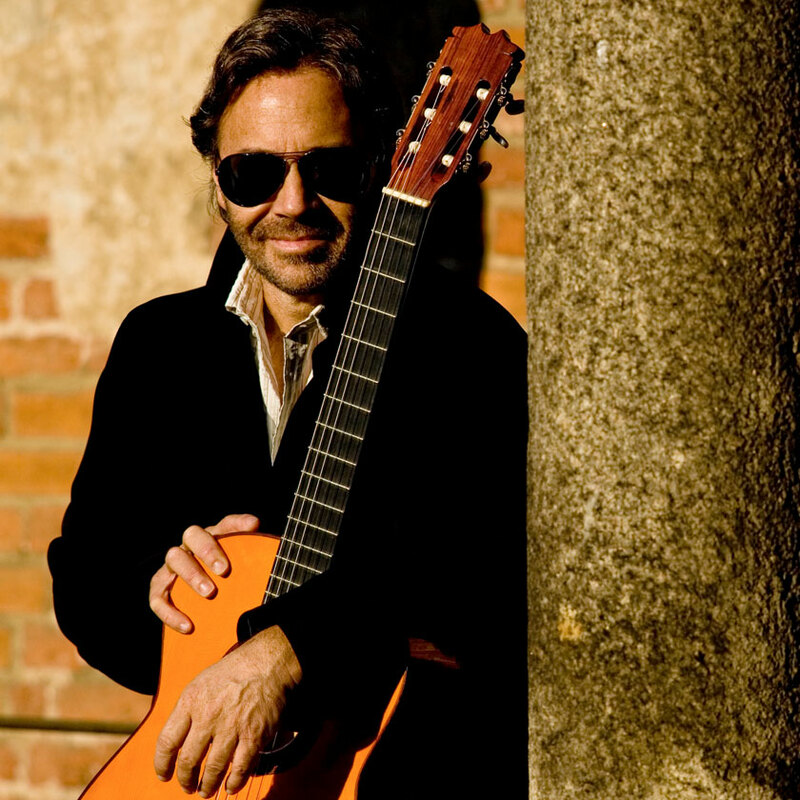 Guitarist Al DiMeola first rose to prominence as a blazing jazz fusion player before his playing matured and he began to conquer other styles, such as acoustic Latin music. Guitarist Allan Holdsworth is widely considered to be one of the finest instrumentalists in all of jazz fusion, yet has never truly received the recognition that he so rightfully deserves. Born on August 6, 1946, in Bradford, Yorkshire, Holdsworth was originally taught music by his father, who was a pianist. First a saxophone player, Holdsworth didn't pick up the guitar until he was 17 years old, but learned the instrument quickly. Although it's widely agreed that all three members of Rush are incredibly talented at their respective instruments, guitarist Alex Lifeson tends to be the most underrated of the bunch. Born Alex Zivojinovich on August 27, 1953 in Fernie, Canada (his parents were Yugoslavian immigrants), Lifeson grew up in Toronto, and received his first guitar as a Christmas gift when he was 13. Soonafter, Lifeson discovered rock n' roll (via the usual suspects – Eric Clapton, Jimi Hendrix, etc. ), and began jamming with local drummer John Rutsey. Born 01/14/1959 in Paris from vietnamese parents, he began to play drums at the age of 15, then took up guitar & electric bass. After graduating in Visual Arts, he majored in Philosophy, writing a thesis on Exoticism. Then he devoted to music, creating "ULTRAMARINE" (1983), a multi-ethnic band whose CD "DÉ" has been considered "1989' s best World Music album " Philippe Conrath, Libération. Best known for his long stint in support of Ozzy Osbourne, guitarist Zakk Wylde was born and raised in New Jersey; although he began studying music at age eight, he soon quit, not returning to his lessons until his mid-teens. He formed his first band, Stone Henge, in 1984, followed by a series of appearances with a variety of bands throughout the Jersey Shore. Yngwie Malmsteen is arguably the most technically accomplished hard rock guitarist to emerge during the '80s. Combining a dazzling technique honed over years of obsessive practice with a love for such classical composers as Bach , Beethoven , and Paganini , Malmsteen 's distinctively Baroque, gothic compositional style and lightning-fast arpeggiated solos rewrote the book on heavy metal guitar (see his rig). Guitarist/bassist/songwriter/producer Walter Becker hooked up with his partner Donald Fagen when both were attending Bard College in upstate New York in the late '60s. They became members of Jay and the Americans, then signed a songwriting contract with ABC Records in the early '70s. At ABC, they formed the group Steely Dan, who gradually dwindled down to just the two of them while they sold millions of records during the '70s. As the lead guitarist of Living Colour and a co-founder of the Black Rock Coalition, Vernon Reid has done a great deal to undermine stereotypical expectations of what music black artists ought to play; his rampant eclecticism encompasses everything from hard rock and punk to funk, R&B and avant-garde jazz, and his anarchic, lightning-fast solos have become something of a hallmark as well. Tuck Andress was born in Oklahoma and studied classical guitar at Stanford University before traveling to Las Vegas to audition for a show band in 1980. He is half of the duo Tuck and Patti, a very special jazz singer/guitar tandem that perform mostly covers of contemporary standards. Trevor Rabin was born in South Africa in 1954. 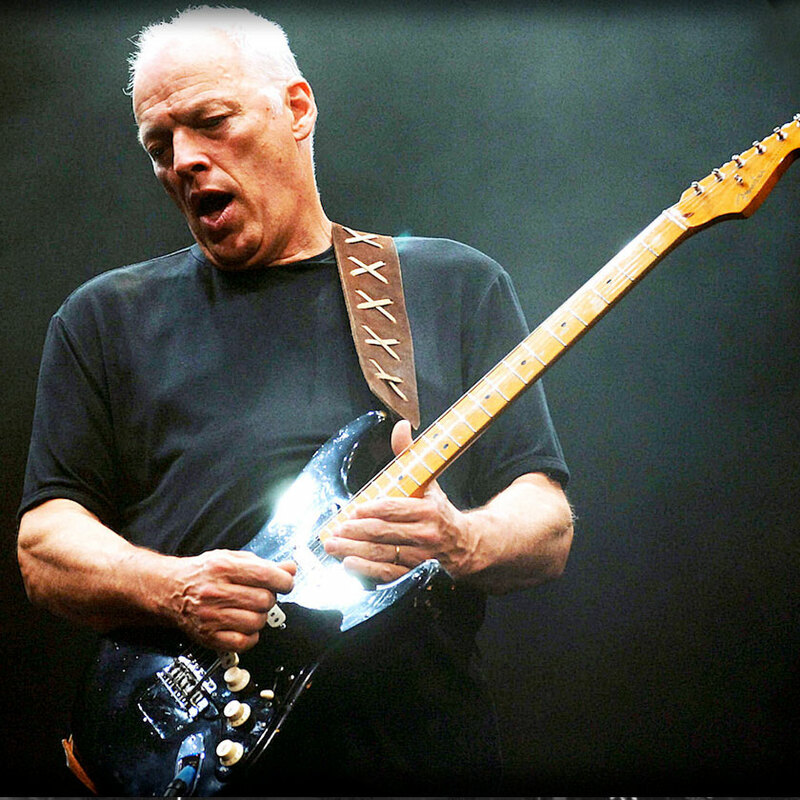 He first began playing guitar at the age of 12 after having had piano lessons since he was a toddler. He formed his first band in 1968, at only 14 years old. After being drafted, Rabin played both guitar and bass in the entertainment unit. He began doing session work after his discharge from the military in 1972. It was also that same year that he hooked up with a group of musicians who began recording as Rabbit. That group recorded a total of two albums over the next few years. Black Sabbath's Tony Iommi is one of only two guitarists (the other being Led Zeppelin's Jimmy Page) that can take full credit for pioneering the mammoth riffs of heavy metal. Born on February 19, 1948, in Birmingham, England, Iommi picked up the guitar after being inspired by the likes of Hank Marvin & the Shadows as a teenager. By 1967, Iommi had played with several blues-based rock bands, and formed a group (Earth) with three old acquaintances from his school days - bassist Terry "Geezer" Butler, drummer Bill Ward, and signer John "Ozzy" Osbourne. It's hard to listen to the music of Tommy Bolin and not wonder what could've been if the exceptionally talented (and versatile) guitarist hadn't succumbed to a senseless drug overdose at the age of 25 - just as his career appeared to be taking off. Todd Rundgren's best-known songs -- the Carole King pastiche "I Saw the Light," the ballads "Hello, It's Me" and "Can We Still Be Friends," and the goofy novelty "Bang on the Drum All Day" -- suggest that he is a talented pop craftsman, but nothing more than that. On one level, that perception is true since he is undoubtedly a gifted pop songwriter, but at his core Rundgren is a rock & roll maverick. Once he had a taste of success with his 1972 masterwork, Something/Anything?, Rundgren chose to abandon stardom and, with it, conventional pop music. Raised in Winston-Salem, North Carolina, Tim Sparks was given his first guitar when a bout of encephalitis kept him out of school for a year. The music he heard around him was traditional country blues, and the gospel his grandmother played on piano in a small church in the Blue Ridge Mountains, so that's what he taught himself to play. He was nominated for a scholarship at the prestigious North Carolina School of the Arts. There he studied the classics with Andrés Segovia protegee Jesus Silva. Theodore "Ted" Nugent (born December 13, 1948) (a.k.a. The Nuge and The Motor City Madman) is an American hard rock guitarist and vocalist from Detroit, Michigan. He originally gained fame as the lead guitarist of The Amboy Dukes. He is noted for his conservative political views and his vocal pro-hunting, pro-conservation, and Second Amendment activism. Stochelo Rosenberg was born in a Gypsy camp on 19 February 1968, the first son of Mimer Rosenberg and Metz Grunholz. He has four brothers and one sister. Stochelo has two sons Isaac and Pepito (Jazzy). 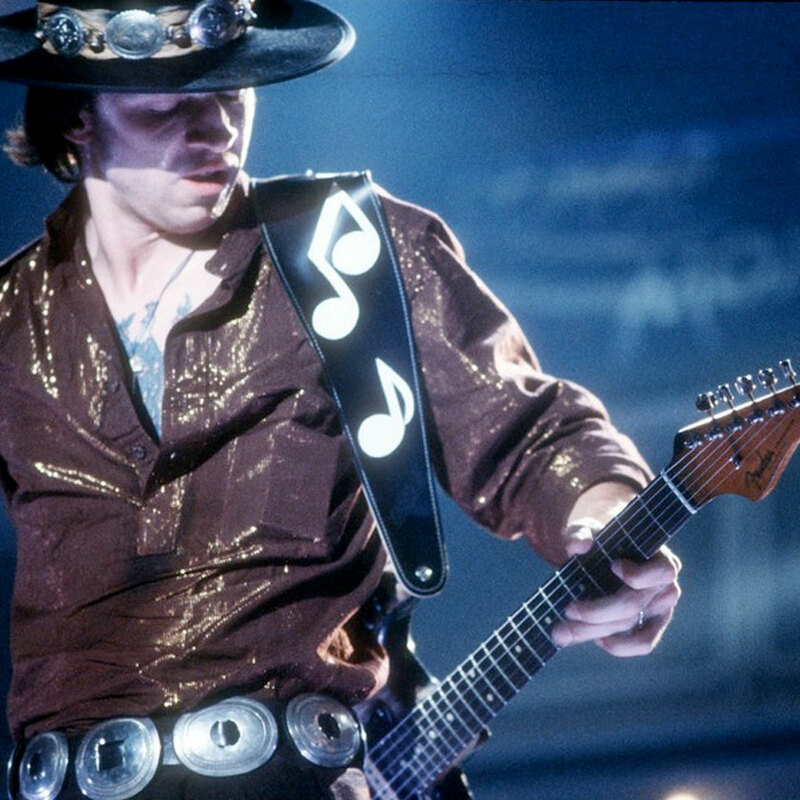 With his astonishingly accomplished guitar playing, Stevie Ray Vaughan ignited the blues revival of the '80s. 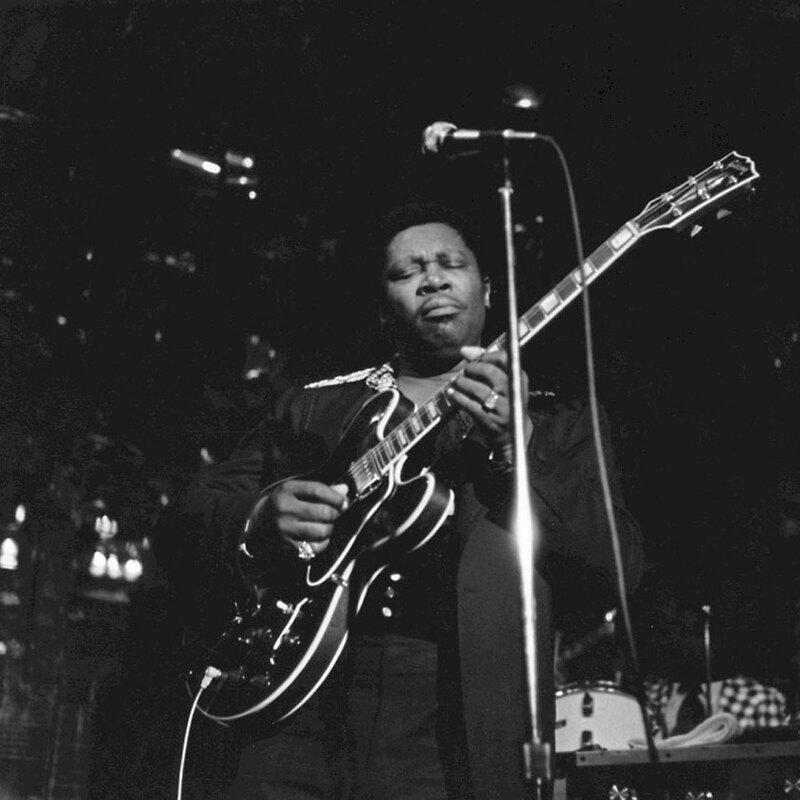 Vaughan drew equally from bluesmen like Albert King, Otis Rush, and Muddy Waters and rock & roll players like Jimi Hendrix and Lonnie Mack, as well as the stray jazz guitarist like Kenny Burrell, developing a uniquely eclectic and fiery style that sounded like no other guitarist, regardless of genre (see his rig). Vaughan bridged the gap between blues and rock like no other artist had since the late '60s. Along with his one-time teacher Joe Satriani, six-string (sometimes seven-string) wizard Steve Vai set the standard for rock guitar virtuosity in the '80s. Born on June 6, 1960, and raised in Carle Place, NY, Vai became interested in the guitar via such legendary artists as Jimi Hendrix, Led Zeppelin, and Alice Cooper as a teenager, and upon starting high school, took lessons with an older player from his high school, Joe Satriani. Best-known as the guitarist for early MTV-era hit makers Toto, Steve Lukather remains one of the world's top session men, having played on well over a hundred recordings by a wide variety of artists over the years. Born in Los Angeles, California on October 21, 1957, Lukather discovered rock music the way just about every single other young U.S. citizen did during the '60s - via the Beatles. Starting off as a drummer and keyboardist, it wasn't until his father purchased Lukather a guitar that he found his true musical calling. Steve Howe was born in London on April 8, 1947. When he began playing guitar he had quite a few influences, chief among them was Chet Atkins. When you consider that two of the others were Django Reinhardt and the duo of Les Paul & Mary Ford, it is really hard to believe that he would become one of the most influential guitarists in progressive rock. In fact, his first band was a Chuck Berry - infused band called the Syndicats. He began playing with that group in 1964. They released several singles before Howe left the group. Steve Hackett is best known as the guitarist with Genesis during their best years as both a progressive and a commercial band, across ten albums of their history. His arrival in the group's lineup at the start of 1971, replacing original guitarist Anthony Phillips, provided the group with the last ingredient that it needed for success. In the years since, while Phil Collins may have enjoyed pop/rock stardom and an acting career and his other bandmates their periodic successes, Hackett has come the farthest as a star performer and composer in his own right. Stanley Jordan's discovery in the early '80s rightfully earned a lot of headlines in the jazz world for he came up with a new way of playing guitar. Although he was not the first to use tapping, Jordan's extensive expertise gave him the ability to play two completely independent lines on the guitar (as if it were a keyboard) or, when he wanted, two guitars at a time. Scotty Moore is one of the great pioneers of rock guitar. As the guitarist on Elvis Presley's Sun Recordings, he may have done more than anyone else to establish the basic vocabulary of rockabilly guitar licks, as heard on classic singles like "That's All Right," "Good Rockin' Tonight," "Baby Let's Play House," and "Mystery Train." Moore took the stinging licks common to both country music and blues, and not only combined elements of country & western and R&B, but added a rich tone through heavier amplification. One of the finest fusion (as opposed to crossover) guitarists of the 1980s and '90s, Scott Henderson 's explosive playing is often teamed up with electric bassist Gary Willis in their group Tribal Tech . Originally most influenced by rock, Henderson (who grew up in West Palm Beach, FL) played in local funk and rock bands. 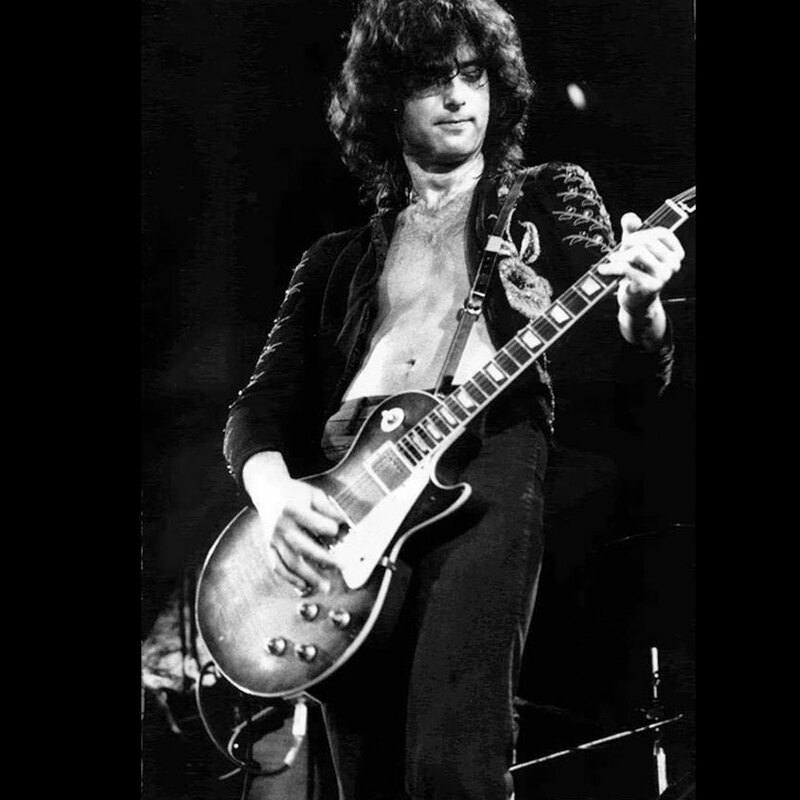 In 1980, he moved to Los Angeles to attend the Guitar Institute of Technology, studying with Joe Diorio. Whether serving as a session musician, solo artist, or soundtrack composer, Ry Cooder's chameleon-like fretted instrument virtuosity, songwriting, and choices of material encompass an incredibly eclectic range of North American musical styles, including rock & roll, blues, reggae, Tex-Mex, Hawaiian, Dixieland jazz, country, folk, R&B, gospel, and vaudeville. The 16-year-old Cooder began his career in 1963 in a blues band with Jackie DeShannon and then formed the short-lived Rising Sons in 1965 with Taj Mahal and Spirit drummer Ed Cassidy. For a career that was cut short by illness and a premature death, guitarist, singer, and songwriter Rory Gallagher sure accomplished a lot in the blues music world. Although Gallagher didn't tour the U.S. nearly enough, spending most of his time in Europe, he was known for his no-holds-barred, marathon live shows at clubs and theaters around the United States. Guitarist Ronnie Montrose began his career as a backing musician, playing with Van Morrison, Boz Scaggs, and Edgar Winter. He finally formed his own band in 1973. Named after the guitarist, Montrose also featured vocalist Sammy Hagar, bassist Bill Church, and drummer Denny Carmassi; they released their debut album in 1974, and Church was replaced by Alan Fitzgerald shortly after its release. If the blues has a truly mythic figure, one whose story hangs over the music the way a Charlie Parker does over jazz or a Hank Williams does over country, it's Robert Johnson, certainly the most celebrated figure in the history of the blues. Of course, his legend is immensely fortified by the fact that Johnson also left behind a small legacy of recordings that are considered the emotional apex of the music itself. Throughout his career, guitarist Robert Fripp has continually pushed the boundaries of pop music, as well as pursuing many avant-garde and experimental musical ideas. Fripp began playing professionally with the League of Gentlemen in the mid-'60s, providing instrumental support to many American singers who were touring England. During this time he began Giles, Giles and Fripp with Pete and Mike Giles . The trio only released one album, 1968's The Cheerful Insanity of Giles, Giles and Fripp, yet the group soon evolved into King Crimson. Tin-eared critics have frequently damned him as a yuppie blues wanna-be whose slickly soulful offerings bear scant resemblance to the real down-home item. In reality, Robert Cray is one of a precious few active blues artists with the talent and vision to successfully usher the idiom into the future without resorting either to slavish imitation or simply playing rock while passing it off as blues. One of the premier songwriters of the rock era, Robbie Robertson was born July 5, 1943, in Toronto, Ontario. The son of a Jewish father and Mohawk mother, Jaime Robbie Robertson's first brush with live music came at the Six Nations Reservation, his mother's girlhood home; at the age of five, he also gained exposure to the country music of rural America. 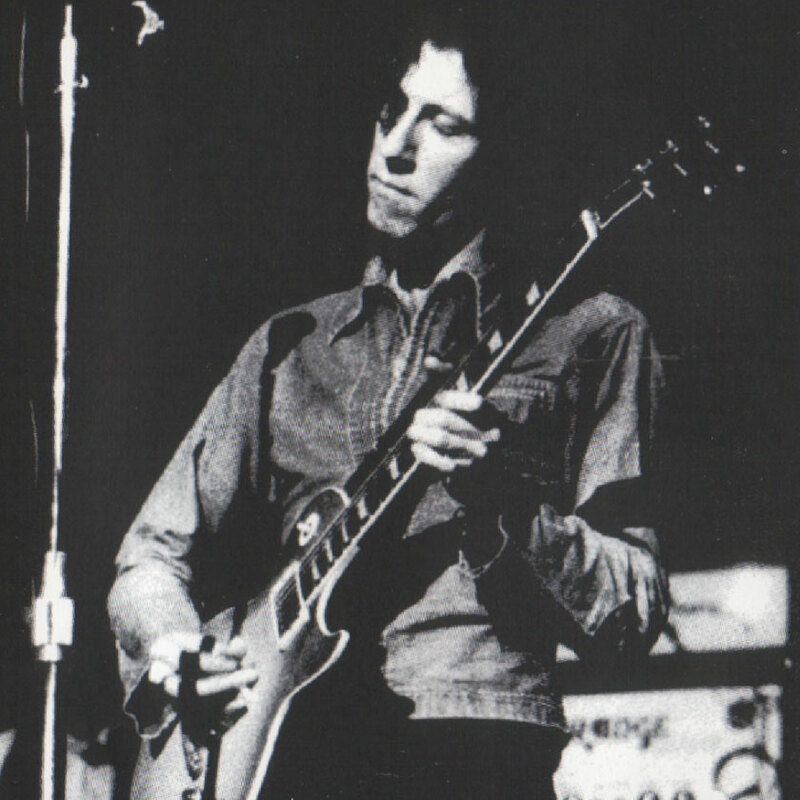 When you think of the Doors, 'guitar' isn't the first thing that usually comes to mind (Jim Morrison's manic persona and Ray Manzarek's swirling organ usually take precedent), but guitarist Robbie Krieger proved to be an integral member of the band - helping pen the majority of the group's songs. British guitarist Ritchie Blackmore started out as a session player and then was a cofounder of the hard rock group Deep Purple in 1968. With Deep Purple , he made the albums Shades of Deep Purple (1968), The Book of Taliesyn (1969), Deep Purple (1969), Concerto for Group and Orchestra (with the Royal Philharmonic Orchestra , 1970), Purple in Rock, Fireball (1971), Machine Head (1972), Purple Passages (1972), Made in Japan (1973), Who Do We Think We Are? (1973), Burn (1974), and Stormbringer (1974) before leaving the group in April 1975. While the most dominating and influential heavy metal guitarist of the '80s would have to be Eddie Van Halen, Ozzy Osbourne's original guitarist, Randy Rhoads, was one of the few guitarists of the era to create his own signature style. While just about every other guitarist was merely copying Van Halen's unorthodox two-hand tapping technique, Rhoads was one of the first heavy metal guitarists to incorporate classical music into his playing (later picked up by such six-string shredders as Yngwie Malmsteen). One of the founders of Oregon, Ralph Towner is one of the few modern jazz musicians to specialize on acoustic guitar. His playing often stretches beyond the boundaries of conventional jazz into world music and is quite distinctive. He started playing piano when he was three and trumpet at five, performing in a dance band when he was 13. Towner studied classical guitar in Vienna and played with classical chamber groups in the mid-'60s. After moving to New York in 1969, Towner worked with Jimmy Garrison, Jeremy Steig, and Paul Winter's Winter Consort (1970-1971). Throughout the years, rock music has been littered with talented musicians whose lives were cut short due to drug-related deaths. Free/Back Street Crawler guitarist Paul Kossoff was one such casualty. Kossoff was born in London, England, on September 14, 1950, and early on studied classical guitar (before giving up on the instrument by his teenaged years). But upon discovering the British blues-rock movement of the '60s, Kossoff's interest in guitar perked up once again, especially after catching a John Mayall's Bluesbreakers live show with Eric Clapton. Metal guitar virtuoso Paul Gilbert was born November 6, 1966 in Carbondale, IL and raised primarily in Greenburg, PA; he began playing music at age five, and by age 15 was not only touring local clubs with his band Tau Zero but was even spotlighted in Guitar Player magazine alongside fellow up-and-comer Yngwie Malmsteen. One of the most original guitarists from the '80s onward (he is instantly recognizable), Pat Metheny is a chance-taking player who has gained great popularity but also taken some wild left turns. His records with the Pat Metheny Group are difficult to describe (folk-jazz? mood music?) but managed to be both accessible and original, stretching the boundaries of jazz and making Metheny famous enough so he could perform whatever type of music he wants without losing his audience. One of the most original of the jazz-based guitarists to emerge in the 1960s, Pat Martino made a remarkable comeback after brain surgery in 1980 to correct an aneurysm caused him to lose his memory and completely forget how to play. It took years, but he regained his ability, partly by listening to his older records. Martino began playing professionally when he was 15. He worked early on with groups led by Willis Jackson, Red Holloway, and a series of organists, including Don Patterson, Jimmy Smith, Jack McDuff, Richard "Groove" Holmes, and Jimmy McGriff. The longtime guitarist for arena rockers Journey, Neal Schon was born February 27, 1954 in San Mateo, CA; a child prodigy, he joined Santana at age 17, making his debut on 1971's III LP. 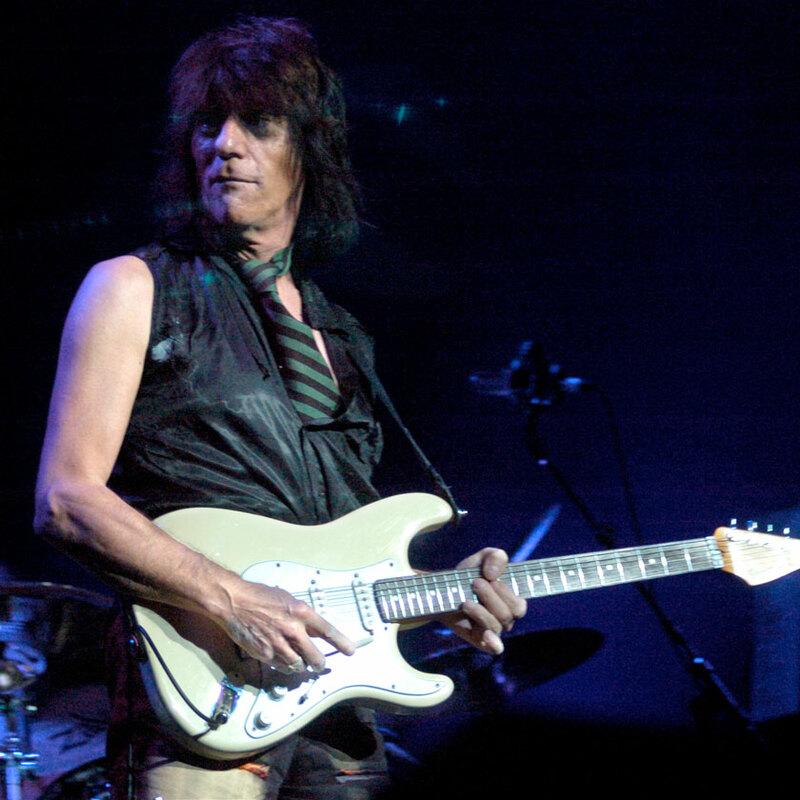 In 1973 Schon co-founded Journey with fellow Santana alum Gregg Rolie; although the group's early records favored a largely instrumental, progressive rock-influenced approach, with the 1978 addition of frontman Steve Perry their commercial fortunes ascended as slick hard rock hits like "Wheel in the Sky," "Lovin', Touchin', Squeezin'," and "Anyway You Want It" became FM radio staples. A postwar Chicago blues scene without the magnificent contributions of Muddy Waters is absolutely unimaginable. From the late '40s on, he eloquently defined the city's aggressive, swaggering, Delta-rooted sound with his declamatory vocals and piercing slide-guitar attack. When he passed away in 1983, the Windy City would never quite recover. When Mississippi Fred McDowell proclaimed on one of his last albums, "I do not play no rock'n'roll," it was less a boast by an aging musician swept aside by the big beat than a mere statement of fact. 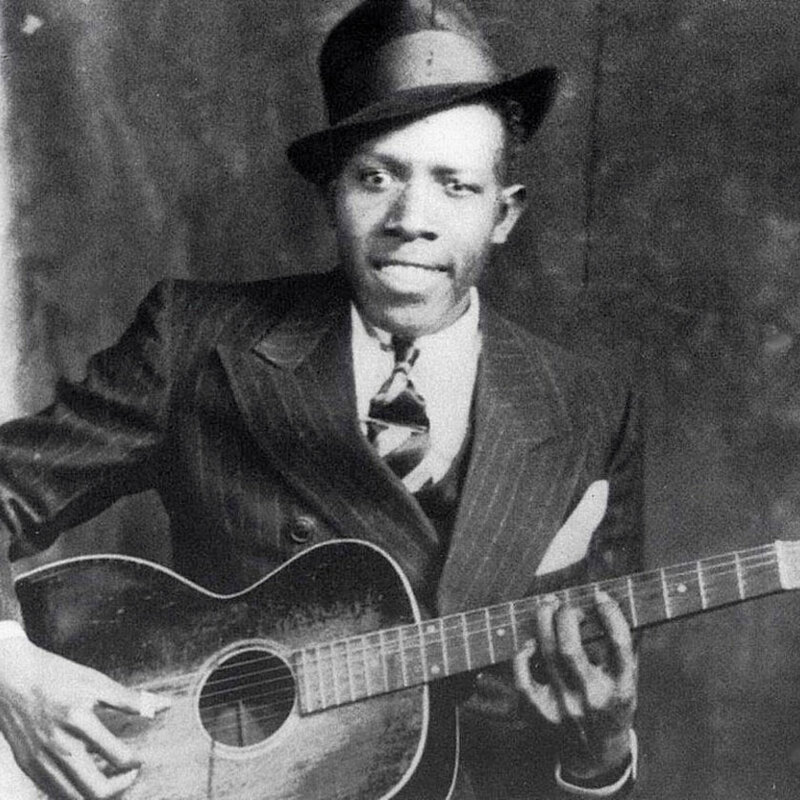 As a stylist and purveyor of the original Delta blues, he was superb; equal parts Charley Patton and Son House coming to the fore through his roughed up vocals and slashing bottleneck style of guitar playing. Recognized as one of the finest guitarists among his peers, Mike Stern was born on January 10, 1953 in Boston, MA, but grew up in the Washington D.C. before returning to Boston to study at the Berklee School of Music. Stern was only 22 when he joined Blood, Sweat & Tears, for whom he played three years before signing on with Billy Cobham's jazz fusion outfit which led to Stern's big breakthrough when Miles Davis enlisted him as guitarist for Davis' return from a five-year musical hiatus in 1981. Michael Gordon Oldfield (born 15 May 1953 in Reading, Berkshire) is an English multi-instrumentalist musician and composer, working a style that blends progressive rock, folk, ethnic or world music, classical music, electronic music, New Age and more recently dance. His music is often elaborate and complex in nature. He is best known for his hit 1973 album Tubular Bells, which broke new ground as an instrumental concept album and launched Virgin Records, and for his 1983 hit single "Moonlight Shadow". He is also well known for his hit rendition of the Christmas piece, "In Dulci Jubilo". Mike Keneally obviously doesn't like to be labeled - he's a bandleader and bandmember, a rock and jazz fusion player, and also an outstanding guitarist, vocalist, keyboardist, and percussionist. Taking up keyboards at age five, Keneally's life changed when he moved from New York to California in 1970 and heard Frank Zappa for the first time at age ten. Woodshedding for the next 15 years as a self-taught guitarist, Keneally formed a band called Drop Control in his hometown of San Diego in 1985 and became one of the city's musical heroes. Michael Bloomfield was one of America's first great white blues guitarists, earning his reputation on the strength of his work in the Paul Butterfield Blues Band. His expressive, fluid solo lines and prodigious technique graced many other projects - most notably Bob Dylan's earliest electric forays - and he also pursued a solo career, with variable results. There's no denying the great string of classic albums the Rolling Stones issued during the late ‘60s and early ‘70s - 1969's Let It Bleed, 1970's, 1971's Sticky Fingers, and 1972's Exile on Main Street. But while Jagger and Richards received the lion's share of credit for these aforementioned albums, it was the guitar work, and uncredited songwriting contributions, of Mick Taylor that helped make these albums so special. Mick comes from a musical background. His Dad was a drummer and his uncle a String Bass Player. The young Rogers was weaned on 50's Rock and Roll. His first work as a musician came during a summer season at a Holiday Camp. Later Mick joined the Australian hit band Nory Rowe And The Play-boys. He then played with Procession who were produced by Mike Hugg in the UK. Back in Australia Procession made the first live album ever recorded there at a club called Sebastians. In a very real sense, Mick Box is Uriah Heep. He has been the one constant throughout the somewhat turbulent history of the band. In fact, the only recording he has ever done has been with that band, with the exception of working on David Byron 's solo album. With Byron being a fellow Heepster, this is only so much of a stretch. His guitar style is one of the corner stones of the '70s Brit Rock, baseed on the '60s Brit Blues. Composer, guitarist, and musician in every sense of the word, Michel Cusson is quite literally multitalented. The man behind the music has electrified jazz lovers, touched film goers, thrilled TV viewers and plunged spectators of live shows around the world into the heat of the moment. Michael Romeo began playing guitar at the tender age of 14. Taking his influences from many sources including Steve Vai, Al DiMeola, Yngwie Malmsteen, JS Bach, John Williams and Frank Zappa, at the age of 19, he was one of the finalists of the nation-wide "Sam Ash Music Store" guitar contest. One of the most innovative and acclaimed solo guitarists of his era, self-described "violent acoustic" artist Michael Hedges rose to success on the strength of a unique performing style which utilized harmonics and picking to create the impression of multiple guitars playing simultaneously. Michael started playing piano and composing at age 5 and started playing guitar at age 10. Michael has had 2 major label record deals. Atlantic Records with the band "Holland" and Rhino/Warner Brothers Records with the band "Nitro". Michael released 2 DVDs in 2003. "Speed Kills" and "Speed Lives". Both are in conjunction with Doug Marks and Metal Method Productions. Michael has performed over 1200 shows in 35 different countries since 1993. He has toured the world performing guitar workshops, touring with various bands and as a solo artist. One of the ultimate '80s guitar shredders, Marty Friedman first made his name with the speed-burning virtuoso outfit Cacophony, but landed his most widely renowned gig as the lead guitarist of Megadeth during the thrash legends' greatest period of popularity. Les Paul has had such a staggeringly huge influence over the way American popular music sounds today that many tend to overlook his significant impact upon the jazz world. Before his attention was diverted toward recording multi-layered hits for the pop market, he made his name as a brilliant jazz guitarist whose exposure on coast-to-coast radio programs guaranteed a wide audience of susceptible young musicians. Leslie West first gained recognition as the lead guitarist for the Vagrants, a locally popular 1960s Long Island group. One of that group's singles was produced by Felix Pappalardi, a bass player who also produced Cream. After the Vagrants and Cream split up, Pappalardi played bass on and produced West's debut solo album, Mountain (July 1969). Following its release, the two teamed up with drummer Norman Smart (soon replaced by Corky Laing) and keyboard player Steve Knight to form the band Mountain, which cut the albums Mountain Climbing! Lee Ritenour has long been the perfect studio musician, one who can melt into the background without making any impact. While he possesses impressive technique, Ritenour has mostly played instrumental pop throughout his career, sometimes with a Brazilian flavor. His few jazz efforts have found him essentially imitating Wes Montgomery, but despite that he has been consistently popular since the mid-'70s. Huddie Ledbetter, known as Leadbelly, was a unique figure in the American popular music of the 20th century. Ultimately, he was best remembered for a body of songs that he discovered, adapted, or wrote, including "Goodnight, Irene," "Rock Island Line," "The Midnight Special," and "Cotton Fields." But he was also an early example of a folksinger whose background had brought him into direct contact with the oral tradition by which folk music was handed down, a tradition that, by the early years of the century, already included elements of commercial popular music.